Student Life at Blessed Teresa of Calcutta is always varied and fun with the goal of further developing our students' talents and abilities. Appealing to children at all levels of learning and abilities, our activities inside and outside the classroom are focused on engaging their inquisitive nature and sparking their creativity! The curriculum at Blessed Teresa of Calcutta offers rigor and prepares them for the expectations of high school. 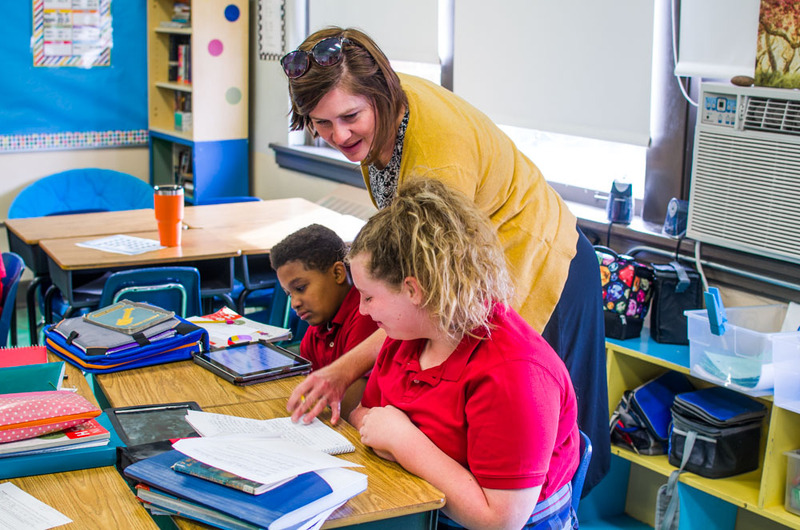 Our teachers provide differentiated instruction, meeting the needs of all of our students based on their instructional levels. The curricular needs of the students are met and exceeded through the teacher's instruction and the use of our many educational resources. Click Here for More Detail on Special Aspects of the BTC Curriculum! Blessed Teresa of Calcutta offers the use of many technological resources to aid in academic development. Every classroom is equipped with a Smartboard and at least one student computer. The teachers and students have access to a computer lab in which each student can work individually on their own computer. We house two iPad carts with 30 iPads on each, one LearnPad cart with 30 LearnPads, and one Chromebook cart with 30 tablets that can travel from room to room in our PK-5th grade classrooms for the teachers to use in their instruction. 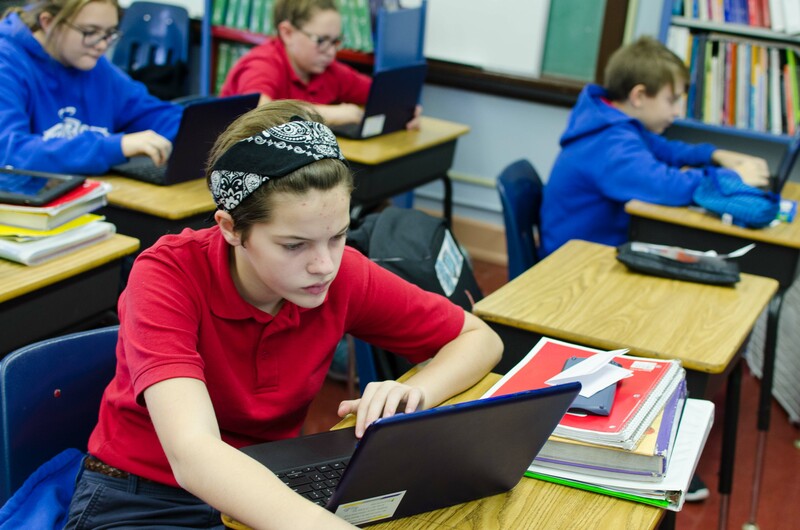 In addition, our 6th-8th grade students are 1:1 utilizing Chromebooks in accordance with Google Apps for Education in all of their daily classes. Click here for More Information on Technology Integration at BTC School! Blessed Teresa of Calcutta School is centered around service. Service is a huge part of our students' lives beginning in preschool all the way to 8th grade. 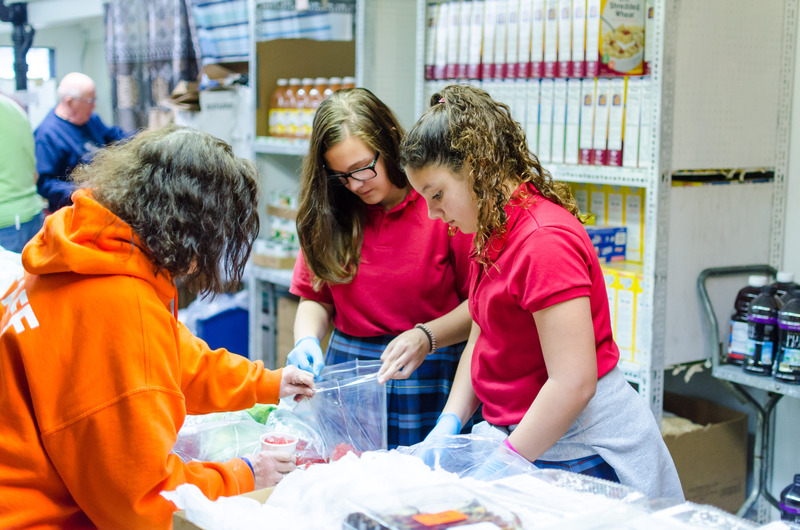 It is our goal at BTC to engage our students in many service opportunities throughout their time here, so that they will grow and continue to be servants of Christ throughout their whole life-long journey. Click Here to Learn More About the Service Work Done by All Students at BTC School! 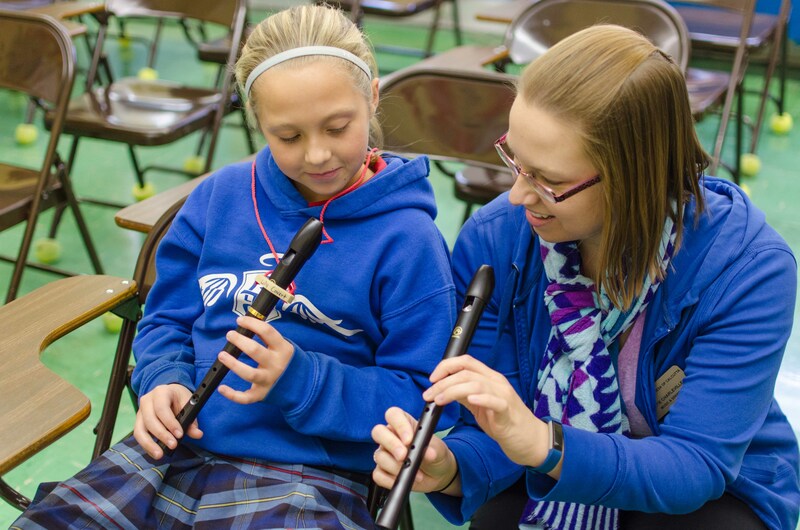 At Blessed Teresa of Calcutta, we think is it important that all students be given the opportunity to engage in additional life experiences that allows their creativity to flow and brings them into positive relationships with their peers. All students are given the opportunity to get involved in athletics, the visual and performing arts, and music life at BTC. Click Here for a Listing of the Many Opportunities Available to Students at BTC School!